Photo: Residents and campaigners opposed to the Queensway Gateway Road at the proposed site of the road. 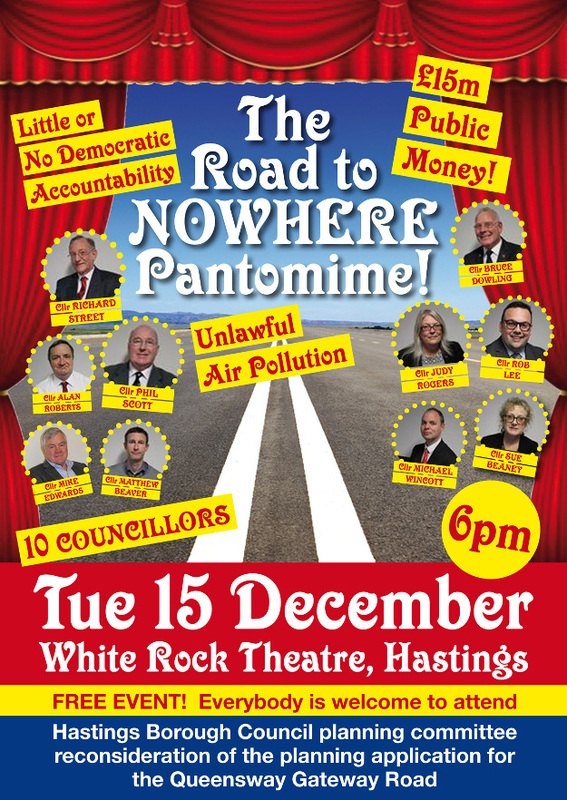 Photo: A poster by campaigners opposed to the Queensway Gateway Road. 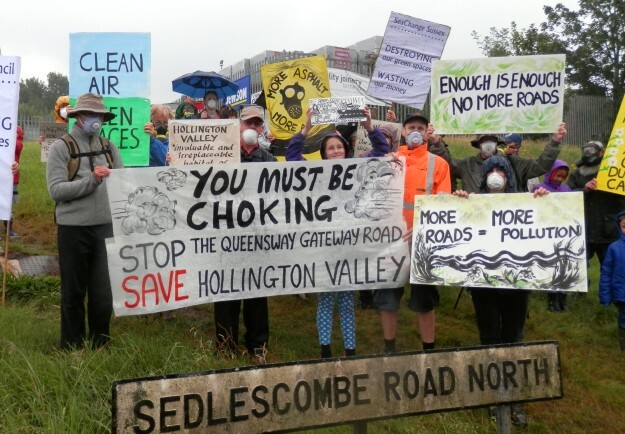 Gabriel Carlyle is a campaigner opposed to the proposed Queensway Gateway Road in East Sussex. This road would connect Queensway in Hastings with Sedlescombe Road North (the A21) in northern Hastings/St Leonards. The Gateway forms part of a bypass to the north west of Hastings which leads to the controversial Bexhill Hastings Link Road. Gabriel told the story of the campaign at the Clean Air Convergence 2016 with a slide show.